Our Close the Gap initiative is 3/4 of the way there! 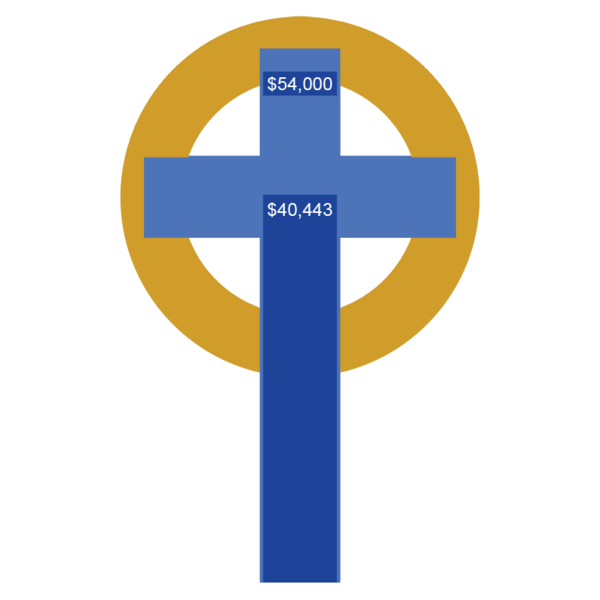 As of last Sunday, we have $41,468 in additional pledges. That means we have just $13,557 left to reach our goal! If we succeed, we will effectively close the deficit in our 2016 budget. We are so close! Additional pledges of all sizes, whether $5 a week or $50 a week, will add up quickly if we all step up together. Let's get this gap closed by our end date, July 4! This Sunday, celebrate with and say goodbye to our seminarians at a joint Sunday School party at 10am, or coffee & cake reception at 12:10pm. We've got two parties planned to celebrate our seminarians this Sunday. At 10am we're having an inter-generational party bringing adults and our Sunday School program together for games, fellowship, and food. After 11am Worship we're holding a special cake and coffee reception. Both of these parties are an opportunity to say thank you and goodbye to four seminarians who have served our ministry over the past couple years. Terris Krueger, our interim Office Administrator, will be starting CPE (Clinical Pastoral Education) in June and his internship in September out on Long Island. Jessica Christy, our Sunday School Coordinator, is deliberating her next step as she graduates from Union Theological Seminary. 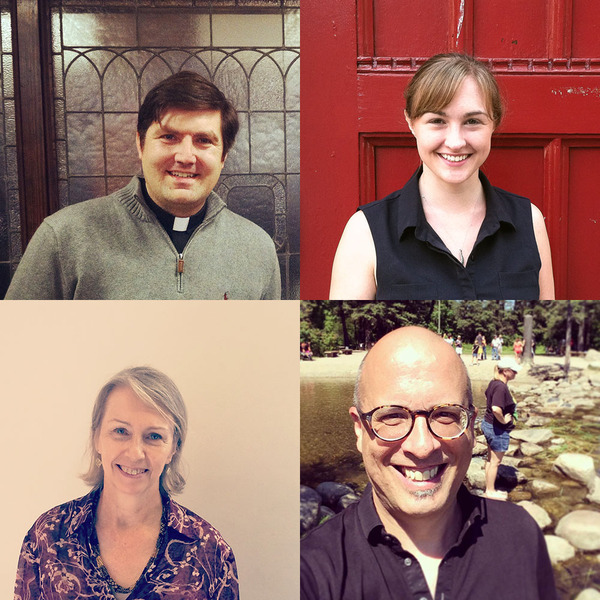 Vicar Nancy is completing her internship and graduating from Union Theological Seminary, and seminarian Paul Miller will be starting an internship near his home in New Jersey. Join us in sharing our gratitude and blessings with these seminarians. We invite you to bring some cookies and thank-you cards. If you cannot be with us this Sunday, cards for our seminarians can be mailed to us at 2504 Broadway, New York, NY 10025. In this month's "Mission Moment" in worship, Chandra Travis spoke about how our support made her daughter's first year at NYU possible. Please consider making a donation to our Scholarship Fund this month, so we can continue to help Sojourner and other students in our congregation obtain a great college education.